Do you know where resources such as time and money are being used best in your medical practice and where they might be wasted? Chances are, even the most organized and efficient office isn't following every best practice when it comes to medical billing or electronic health records implementation. Learning from the mistakes of others, keeping up with trends in the industry, and understanding how regulatory compliance plays a role in every task can mean the difference between a profitable practice and one that struggles with cash flow. According to the Healthcare Finance News, one of the top reasons claims are denied is because they are duplicates. Practices file claims repeatedly, hoping for different results, rather than researching the reasons why a claim isn't paid. Duplicate filing not only creates unnecessary work for your office, but it also puts a burden on the payor -- which could result in the loss of managed care contracts or other negative consequences. In the upcoming weeks, RevenueXL will publish a series of blogs on best practices for medical billing. We'll discuss the importance of accurate data capture, tips for creating clean claims, and steps for successful denial management and claims appeals. We'll also cover the benefits of electronic billing software and touch on some compliance issues that every healthcare provider is dealing with, especially given new regulations and constant insurance changes. If electronic medical billing is the lifeblood of healthcare cash flow, then an electronic health record system is the backbone of any successful practice. The benefits of EHR are numerous, but implementing a new system in your busy practice can be an enormous headache. 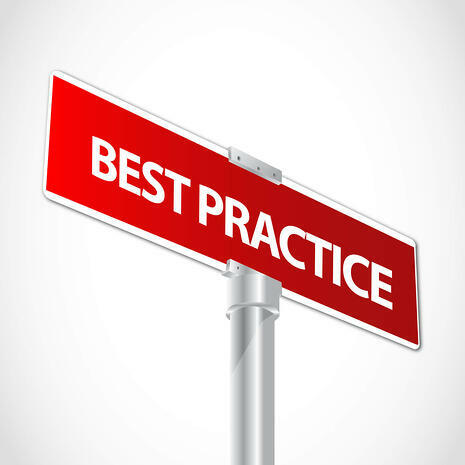 That's why we're providing a series of blog posts about best practices for any EHR implementation. Much of the documentation that exists in this space relates to large clinics and hospital systems, but the lessons learned in those environments is scalable to almost any medical office. We'll take technical, training, staffing, and money lessons learned in previous implementations and create top tips and actionable steps you can follow to make EHR implementation more pleasant, efficient, and successful for your office. Empower your employees to take advantage of innovative trends and education that can be put into practice in real-word office situations. Learn new ways to increase cash flow, patient satisfaction, and overall efficiency in your office. Avoid mistakes and compliance issues that occur when you enter the medical billing or EHR implementation waters unprepared for the challenges you'll likely encounter. Check back for easy-to-read, research-rich blogs about best practices that will save your practice time, money, and headaches. In the meantime, for customized assistance with your medical billing and EHR implementation needs, contact RevenueXL today.